Ace Hood had himself a rather unproductive year this year. Aside from the release of his Starvation IIImixtape at the top of the year and his remix packed Body Bags 3 project that released early last month, the Miami rapper has been pretty quiet. 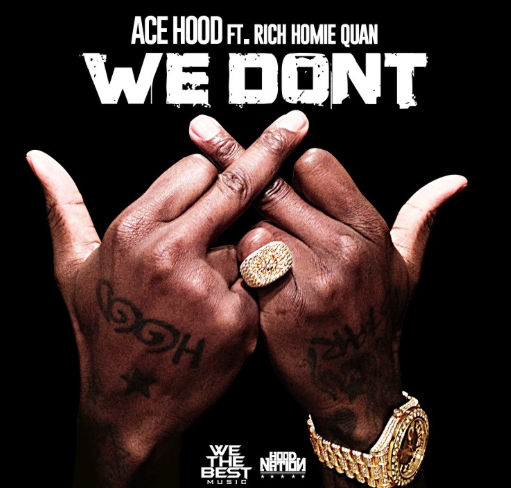 Eying the end of the year to be his big return point, Hood is back with a his new single and he’s brought along Atlanta rapper Rich Homie Quan to assist him on the track. The two have connected to create an anthem for the streets titled We Don’t, a track that should be added in the same category as Big Sean’s current popular single “IDFWU.” This one is for the streets, though.